One of the first things you’ll want to take a look at after installing a new WordPress website is the settings page. On fresh installations, WordPress settings appear at the very bottom of the admin menu which you can find on the left side of your screen. This article explains those default WordPress settings in high detail and guides you through the setup process. On this page, you will find several options that will allow you to change the title and tagline of your site, different kinds of addresses as well as time and date formats. Although WordPress has prefilled these fields for you, please don’t just assume that it’s good enough for your website. Since the site title and tagline are important parts of your blog when it comes to Google and other search engines, it’s imperative that you write custom ones. While writing a custom title and tagline can help you attract the right audience, the default one might hurt your SEO (your position in search engine results) and your credibility. You don’t want your potential customers to see that you ignored the very first step in customizing your site, don’t you? WordPress address is the URL that leads to the directory where you installed WordPress. In most cases, the Site address that points back to your homepage should be the same. If you have just installed your new site, there’s no need to change any of the fields. Unless you want your homepage to be different from the installation directory, but that’s something you shouldn’t worry about if this is your first time with WordPress. Just have them the same. For example, if you don’t want WordPress in the root directory (you might want to keep things clean, or you have other stuff in there), you can install it into any subdirectory like https://example.com/wordpress. By leaving the Site Address the same would mean that people would need to navigate to https://example.com/wordpress to get to your front page. Instead, in this example, you can change the Site Address to https://example.com which would tell WordPress that the URL of your homepage is different than the installation directory. Be careful when changing Site address because any mistake will (temporarily) kill your site. Sometimes (usually when you already messed up the settings), you will have to change these URLs by a different approach since you won’t be able to open the WordPress settings page. That can be done via PHP or by directly editing the database. We advise hiring a professional to fix that for you if you don’t have experience in those fields. This one is a no-brainer; enter a functional email address where you will receive important notifications regarding updates, new users, comments and other info from WordPress. As you may already know, WordPress allows you to develop membership sites. In that case, you will be interested in the corresponding option that lets you open registrations to anyone. If you do so, it is vital that you choose a default user role for newly registered users. By default, all new users will become subscribers. But if you want to give them more authority on your site, you can change it to any other user role available. It’s up to you. We advise keeping the “Anyone can register option” disabled. Next on the list are settings that affect the way time is used and displayed on your site. Choose a time zone, date & time format, and the day your week starts on (yeah, it doesn’t have to be Monday). Although this might sound trivial at the moment, note that everything that WordPress does (and that includes new plugins and themes) will use these time settings. If your email date stamps don’t add up, your new calendar plugin seems broken, or your scheduled posts don’t seem to be working, go back to these options and correct them. If you want to change the language of your site, you just need to select a new one from the list. This option can translate the entire dashboard of your site, while the content will stay intact. Still, be aware that changing the language will also change a few things that your visitors will see (widget names and timestamp labels, for example). 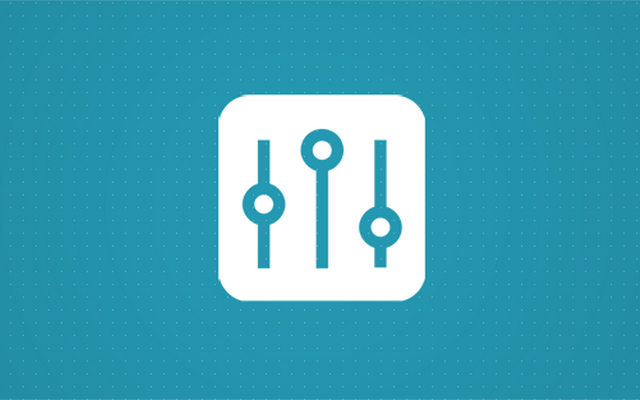 These WordPress settings affect a few things about your posts and categories. You can also opt-in to publish articles via email and change update services. To work correctly, WordPress needs a default post and category format. So, in case you forget to choose those details for a new post, WordPress can automatically assign them to the defaults in order to avoid errors. Although “Uncategorized” category seems just good enough when you’re starting, the truth is that many people frown upon that. So, think again and rename it to something you will use on the blog. Sooner or later, you will realize how bad the uncategorized folder looks to the public. As for the posts, it’s just good enough to have a standard post as the default one. Unless you have a custom post type that you want to use. That will depend solely on you and the WordPress theme you’re using. Did you know that you can submit a post to your WordPress site via email and immediately publish it to your readers? To make it work, you will have to set up a secret email account and enable POP3 access. Add your Mail Server, Login name & password, and choose the category for that post. If you have entered all the details correctly, you will just have to send an email to that address, and WordPress will help you publish the post. Services tools can help you notify other people about updates on your site. Although WordPress automatically notifies the most popular update services about new content on your blog, you can add new from here. If your goal is to have as many visitors as possible, at least have the default service (http://rpc.pingomatic.com/). But if you want to learn more about update services and find out the list of additional ones you can use, please see XML-RPC Ping Services. Just like writing settings affect what you input, reading settings affect the output. Several settings about your front page, blog, RSS and search engine visibility can be configured on this page. Just by choosing a different option on this page, you can completely change the look and feel of your site. WordPress allows you to use the latest posts (a chronological list of them) or a static page as your front page. Usually, a front page is a custom page created by you or the theme developers. There are no limits on how it can look nor on what data it can represent. The only limit is your imagination. A good WordPress theme will have a few front page and posts page designs that create a unique feel, so choose a theme wisely. If you decide to have your latest posts as the front page, this is the place to decide how many recent articles to show. Although displaying more than ten posts might seem fun, take into consideration that having too many posts on the front page can slow down your site. The number of posts shown in the feeds can be changed as well. Ten or twenty is a good number to start with. Although it is always recommended to show excerpts instead of entire articles, you can configure reading settings to show a full text or summary only. If you’re using a site just as a testing environment and you don’t want search engines to crawl and archive it, you can check the box next to search engine visibility. In that case, WordPress will tell all search engines like Google that you don’t want to be indexed and found by other people. But bear in mind that this serves just as a suggestion. Each search engine decides whether to honor your request or not. Discussion settings will help you with links and comments. Here you can change the way WordPress handles pingbacks and trackbacks, and also how comment sections will behave on each article. By checking the corresponding boxes, you can attempt to notify blogs that you linked from your articles. In that case, once you publish an article, all blogs that you linked to should receive a notification. You can also allow link notifications from other blogs (known as pingbacks and trackbacks), and allow people to post comments on new articles. If you’re about to use the standard commenting system that comes prepacked with WordPress, here are all the details you will need to configure to your needs. Choose if authors have to fill out name and email before publishing the comments. Decide if you want your visitors to be able to comment only if they’re registered and logged in. Automatically close comments on articles that are older than any specified number of days, enable threaded comments and choose how many levels they can have (do you want to be able to reply to a reply). You can even break comments into pages if there are more than a specified amount of comments already published. If you have dozens (or hundreds) of comments per article, this will be a must-have option for you. In the following settings, you can configure when to receive emails regarding comments, and you can opt to approve each and every comment manually. Alternatively, you can let WordPress automatically publish comments from authors that already have at least one approved comment. Usually, spam comments will contain several links that should get your attention. You can quickly stop spam in WordPress comments just by marking ones which have more than two or three links. You can activate the filter here and quickly select the number of links allowed. Although spammers are aware of this and many will use just one link per comment, make sure you have the option selected. Even if it stops just one spam comment, it will be worth it, right? The next field on the discussion settings page allows you to block comments which contain specific words in content, name, URL, or email fields. You can even block IP addresses from here. The words you’re going to use here depend on your blog. If you write about smartphones, for example, commenters probably won’t use names of pills and drugs which are a common theme in spam comments. So you can find a list of meds and add them here. We also suggest that you take a look at a list of common spam words that will help you. Additionally, if you know the IP address of a spammer that won’t let go, add it here. Similarly, you can put comments with specific words and IP address directly in the trash. Avatar is a simple image that’s associated with the email address you registered on the site. It will be visible in the profile and next to your name in the comments. The following options allow you to decide if you’re going to use avatars on your WordPress site, what maximum age rating do you allow, and choose what’s the default avatar image going to look like (that one will be used for people who haven’t set their own avatar on Gravatar). Media settings let you change a few things regarding the images on your website. By default, WordPress has three image sizes that you can use throughout the entire site. So, here, you can change dimensions for the thumbnail, medium and large image sizes. Once you upload an image, WordPress will resize it to these extra dimensions. An important thing to remember is that changing this setting will not affect images that are already uploaded. They will not get resized or changed in any way. This setting only applies to images you upload after changing the sizes. When uploading new media files, you can organize them into month and year based folders for better media management. Just check the option. Permanent links or Permalinks are URLs which WordPress stores forever; i.e., they should never change. These links are used by your visitors and search engines to know the exact path to your content. Consider them as the precise addresses to content on your blog – each page on your site has a unique permalink that identifies it. For example, www.yoursite.com/first-post is one type of permalink that would link to your first post. It is not possible that two posts or pages share the same permalink. When you install WordPress for the first time, permalinks won’t look user-friendly. That’s because the system uses ID numbers for each post and page on your site. Your permalinks will probably look something like this: http://yoursite.com/?p=123. If none of the five structures are to your likings and needs, you can always create a custom one. Here you get to sculpt a permalink structure unique to your blog. It is even possible to rename the default “category” and “tags” labels to anything you like. To learn more about this feature, please see the details about WordPress permalinks settings and custom URL structure. WordPress settings hold the most valuable information about your site. From choosing the title of your site to the structure of your links. Because of that, it is important that you carefully go through all of them until you set up the site to your needs and likings. Next » What is WordPress Content Management System (CMS)?